THE STAR ONLINE: KUALA LUMPUR, MALAYSIA. Budget hotel operator Nida Rooms aims to expand its operations to 5,000 hotels regionally by May, and 10,000 by the year end. Currently, the company, which began operations seven months ago, has about 3,000 hotels through various collaborations in South-East Asia, of which 700 are in Malaysia. “We aim to have 1,200 hotels in the country by May,” its chief commercial officer Song Eu Jin told reporters at a media briefing. For now, the operator has a capacity of 450,000 room nights. “There’s no reason that budget room guests should be deprived of quality entertainment when they check in. For the 12-hour period that the guest is in the room when they get in for the night, they should have a relaxation window of about an hour an a half, where they unwind and watch some TV catered to their interest,” Song said. “It is still too early for us to mention the investment amount involved in the implementation of the entertainment platform but for now, both companies will leverage on each other’s resources as we focus heavily on the South-East Asian market in the mid-term. In the long term, we will expand into South America,” SelecTV chief executive officer C.S. Goh said. In November, Nida Rooms had a capital injection of US$1.3mil (RM5.41mil) by private investors. 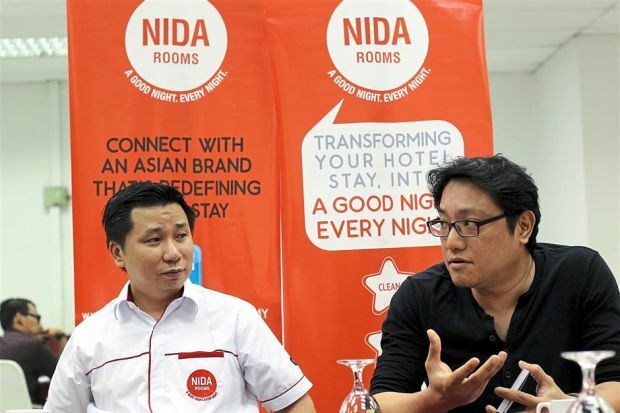 Nida Rooms was introduced in Indonesia as a virtual hotel operator by parent company Global Rooms Ltd to ease booking of hotel rooms, providing maximum services at affordable prices in South-East Asia. The budget hotel focuses on six priorities – clean rooms, comfortable beds, air-conditioned rooms, complimentary Wi-Fi, hot shower and functional amenities.